OPERATED FACILITY IN IN THE USA! and on and on have in common??? North American pressing plant in the country to replicate their CD's and DVD's. Tampa Bay Based, CD-manufacturing outlet & facility -TAMPA BAY'S Progressive Media. 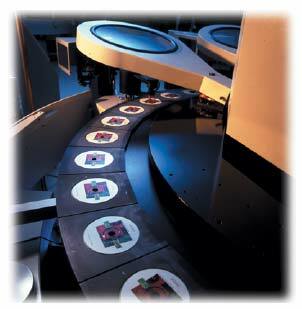 deadline manufacturing the highest quality media available. THEY LOST ALL THE EXPENSIVE ART AND MASTER WHEN THEY WENT BELLY UP! What can you do? There was a reason the flyby-nighters are suspiciously cheap! Now we have to spend time recreating what the discount no-names lost! 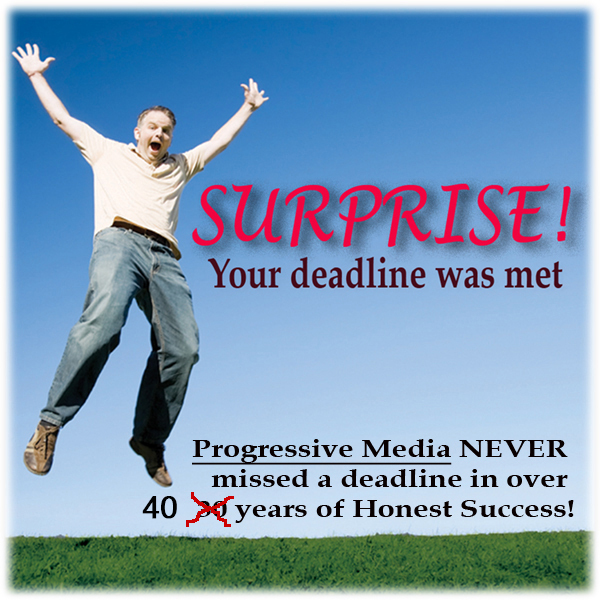 Remember SHIPPING CD's & DVD's is NOT a profit center for Progressive Media - DARE TO COMPARE! 40 year shipping relationships gets you the best rate. 40 year continuous owner ship means your art and masters will always be here! Read an every day true story below about Tampa Bay's Progressive Way..
PROGESSIVE MEDIA TO SAY WHAT THEY DO AND DO WHAT THEY SAY! • No "Low Ball Louie" shipping rip offs! Our 1000 packages ship UPS at COST. charge as much as $375 to ship the same thing we ship at COST! This summer one of our regular clients got ripped off by an INTERNET based scammer who advertised a too good to be true price. When it became obvious the INTERNET based company was going to blow the deadline, the "companies'" response was "Oh Well..." By now the band's gig was only 2 days away. A Progressive Media crew stayed up till 2 in the am Friday night and drove the discs out next day to the gig. This was even after the band went somewhere else besides Progressive and were lied to and ripped off by a INTERNET based scammer who quoted a low-baller price. Naturally this INTERNET based rip off company said "Oh Well" when confronted by the missed deadline. They had the client's master, they had the client's art and they had the client's MONEY. But most importantly they had burned up the client's time and callously endangered the deadline. In spite of the band's momentary lapse of reason, our team stayed up till 2 in the am on a Friday night and drove the discs out to the gig the next day! We met the deadline because THAT IS WHAT WE DO. The band was ecstatic and all is well... Try getting an INTERNET based company or some subsidiary of a corporate conglomerate to do what Progressive Media does on a regular basis! Don't let the low-ballers steal from your by tripling the shipping cost! • You know you are working with a proudly independent manufacturer, not a subsidiary of a greedy corporate conglomerate cartel for over 40 years! Don't get scammed by INTERNET based "LOW-BALL LOUIES"